unique – it contains its own internal preamp, amplifier, and horn driver. 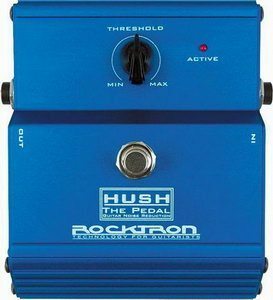 The Rocktron Banshee Talk Box brings a new twist to an outdated generation of complicated and risky talk boxes. Banshee is unique because it contains its own internal preamp, amplifier, and horn driver. You simply plug into your pedalboard and run the provided tubing up the mic stand and into your mouth. 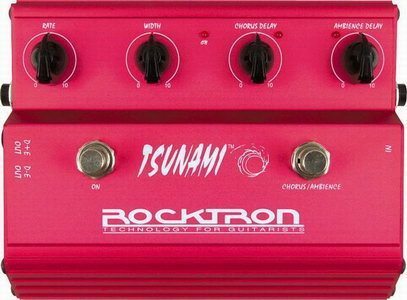 There’s no risk of blowing up your favorite amp head (a possibility with talk boxes of yore). The rest is up to your own imagination as you generate incredible talking tones. 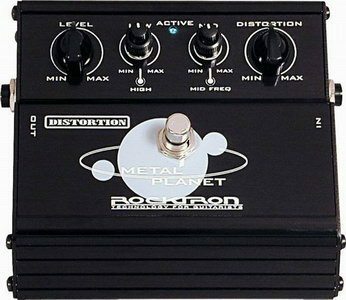 A wide range of clean and dirty preamp tones may be dialed in with plenty of saturation for those who desire lots of gain. 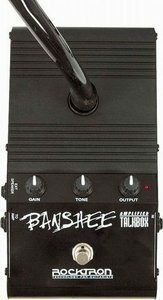 Not only does the Banshee scream in the talkbox mode, but it also includes an extra jack for hookup with an extension pedal speaker. Plugging a speaker cab into this output turns your pedal board into a perfect practice setup with enough volume to seriously crank it. Includes power supply. 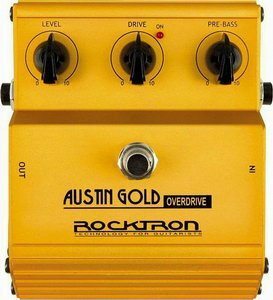 End of Rocktron :: Guitar Effects Review. Disclosure: we may be compensated for our reviews. Click here for details.